No, this is not a pirate battle, although your ship was built at that time. Convene the team of the brave sailors and rather take your seats and do not forget to choose the captain. 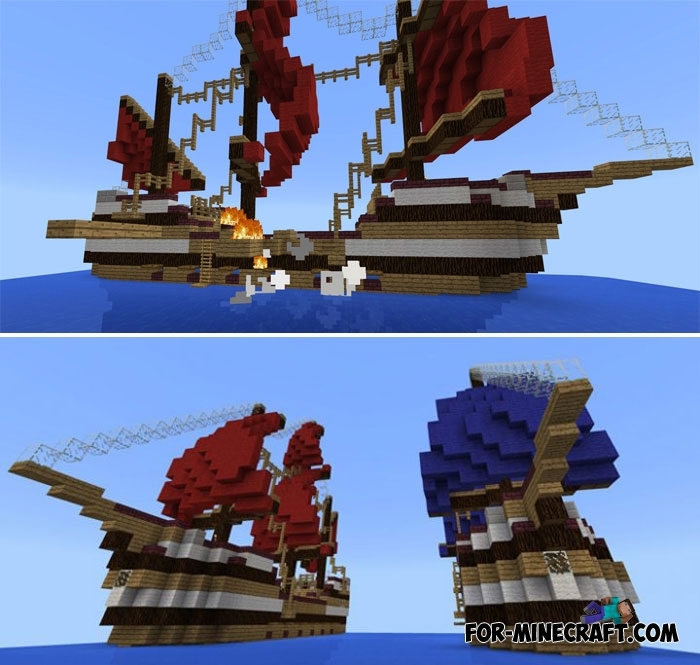 The Sea Fight map must necessarily be added to your Minecraft PE server if you have it because it is on such maps players experience real emotions and enjoy the game. It's not hard to guess where you need to start and where to run, it's pretty simple. Collecting players together is the main task and correctly distribute the forces.